Steven Tyler talks about his use of cocaine in a new interview with Australia's "60 Minutes." 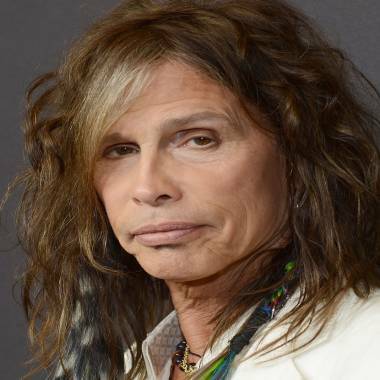 Steven Tyler has spent more money on drugs than most people will make in their lifetimes. The Aerosmith frontman, 65, recently opened up about his past cocaine use in an interview with Australia's "60 Minutes" -- and it's nothing short of shocking. Asked whether it was true that -- as written in his 2011 memoir, "Does the Noise in My Head Bother You?" -- he spent some $20 million on blow in the 1970s and '80s, the rocker said no. But the real number wasn't that far off. "Probably, realistically, 5 or 6 (million), easy," he revealed. "But it doesn't matter. You could also say I snorted half of Peru, but, you know, it's what we did." Indeed, Tyler has spoken candidly in recent years about his history with drugs. In 2011, he revealed to "Dateline" that during Aerosmith's heyday in the 1970s and '80s, the band's tour rider included a small off-stage cubby where they could tend to their coke habit. "I needed blow," he told Matt Lauer. "I needed that cocaine. I needed it." That need nearly ruined him, he added. "It took my children away, it took my marriages away. I was on my knees." Tyler got sober in the mid-'80s, but he later relapsed. In 2006, he became addicted to prescription medication while being treated for hepatitis C. That led him back into old habits, and in December 2009 -- after a Thanksgiving binge on cocaine and pills -- he checked himself into the Betty Ford Clinic. A short time later, the musician found a new way to get his thrills: by taking a job as a judge on "American Idol," serving on the Fox series for seasons 10 and 11 in 2011 and 2012. Last year, he told Time magazine that he took the job because he needed something risky in his life. "I'm one of those people that -- obviously, since I've wound up in rehab eight times -- take dangerous things and jump in with both feet," he said. "I think I'm addicted to adrenaline."